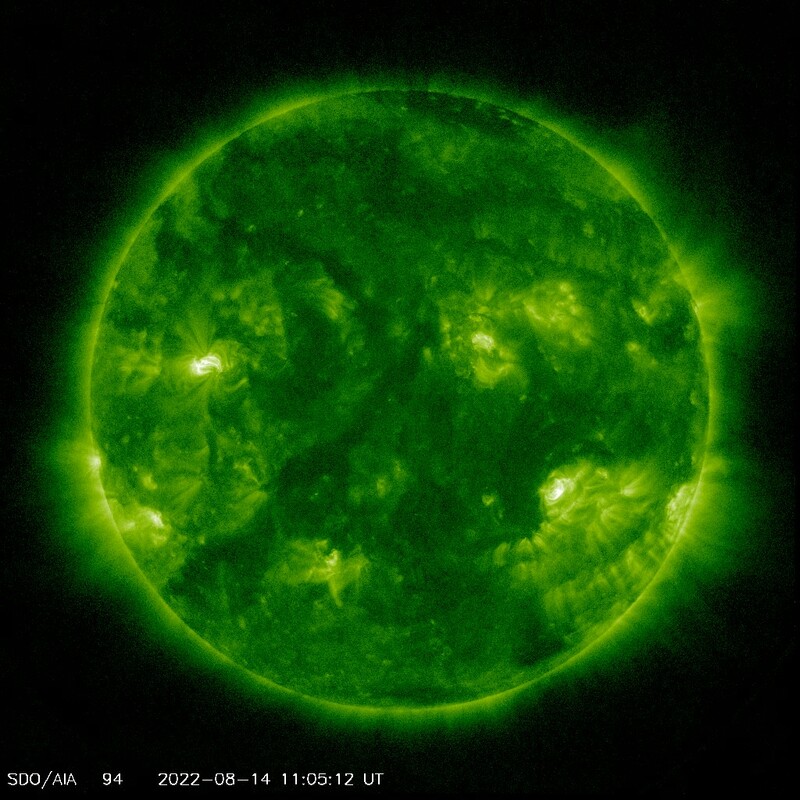 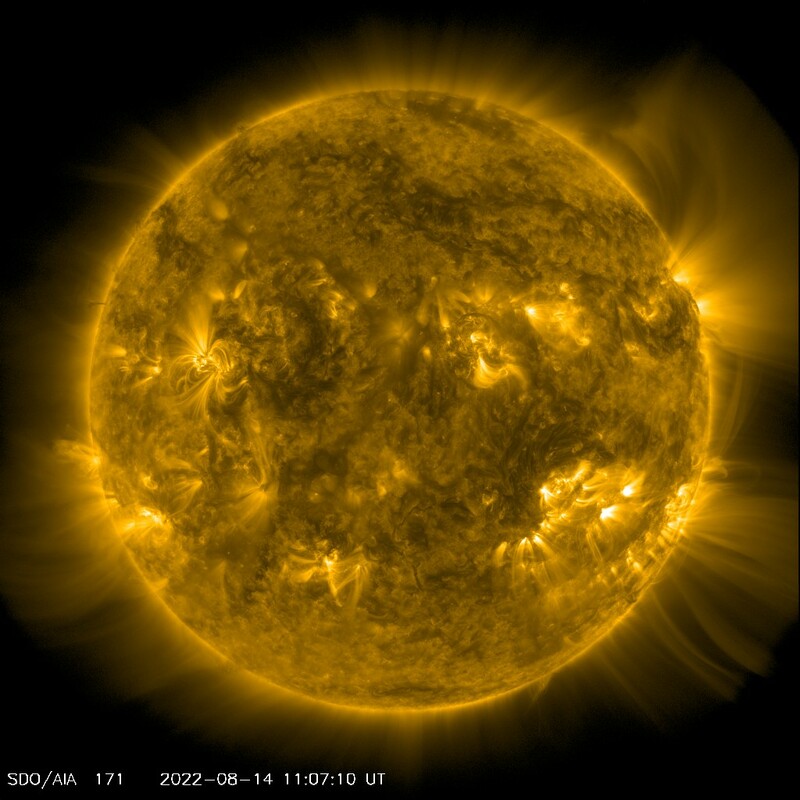 The Solar Dynamics Observatory, or SDO, images several different wavelengths, measured in angstroms (Å), with its Atmospheric Imaging Assembly (AIA) instrument. Images and movies of the Sun can be seen on any day of the mission, including within the last half-hour. 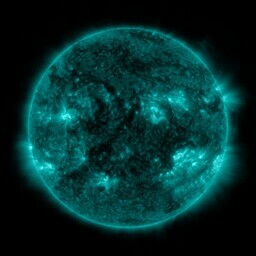 Click here to watch NASA's streaming view of the 2017 solar eclipse! 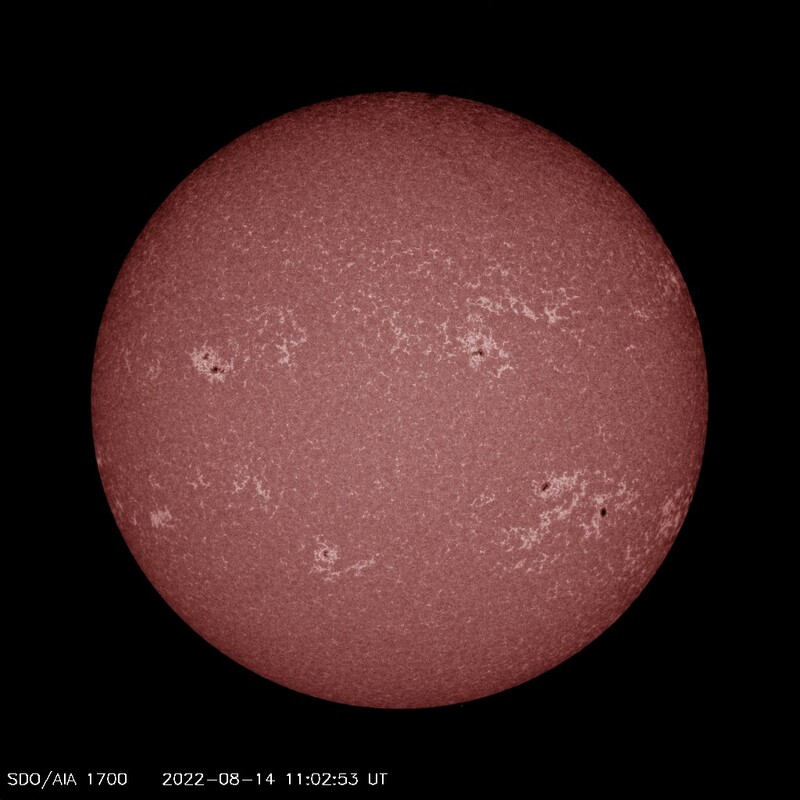 This channel is especially good at showing areas where cooler dense plumes of plasma (filaments and prominences) are located above the visible surface of the Sun. Many of these features either can't be seen or appear as dark lines in the other channels. The bright areas show places where the plasma has a high density. This channel (as well as AIA 094) is designed to study solar flares. 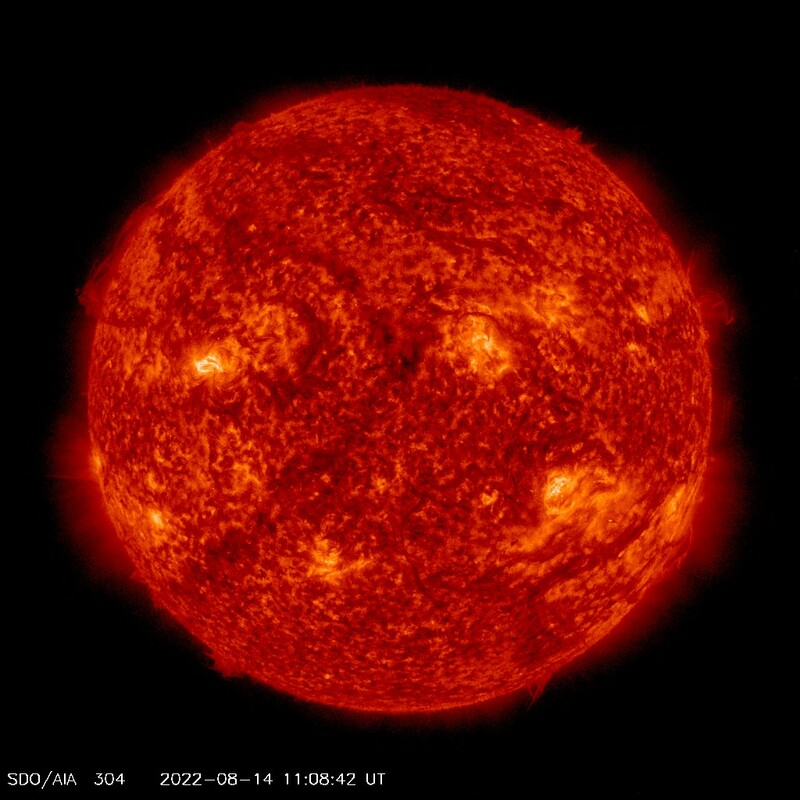 It measures extremely hot temperatures around 10 million K (18 million F), as well as cool plasmas around 400,000 K (720,000 F). 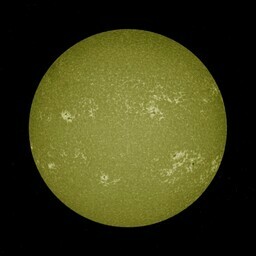 It can take images every 2 seconds (instead of 10) in a reduced field of view in order to look at flares in more detail. 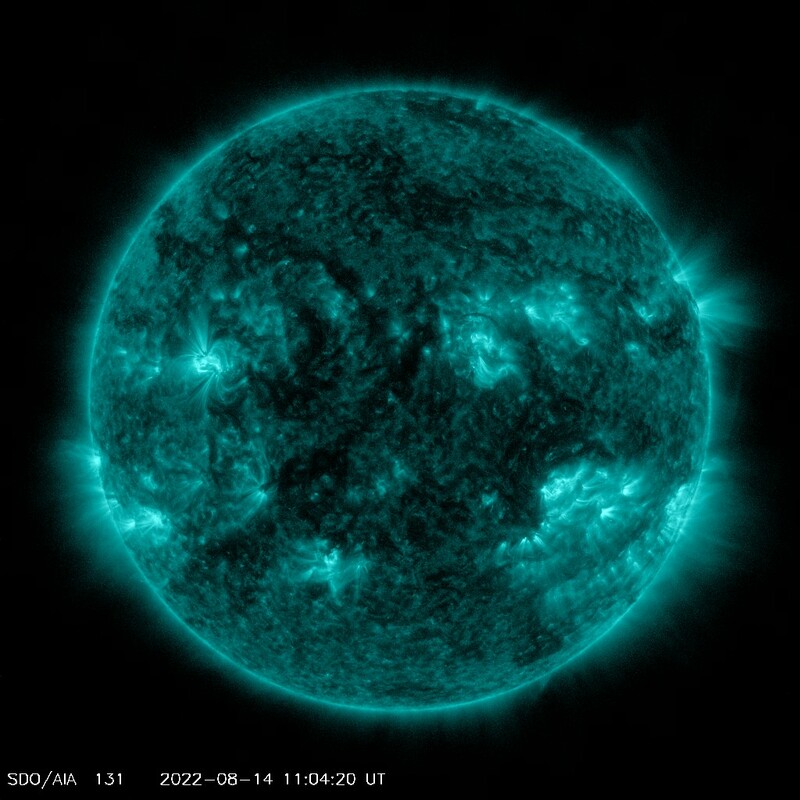 This channel (as well as AIA 131) is designed to study solar flares. 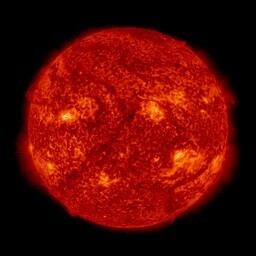 It measures extremely hot temperatures around 6 million Kelvin (10.8 million F). 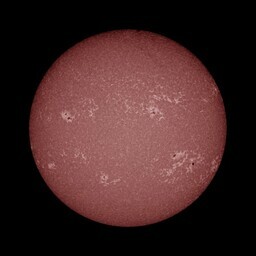 It can take images every 2 seconds (instead of 10) in a reduced field of view in order to look at flares in more detail. 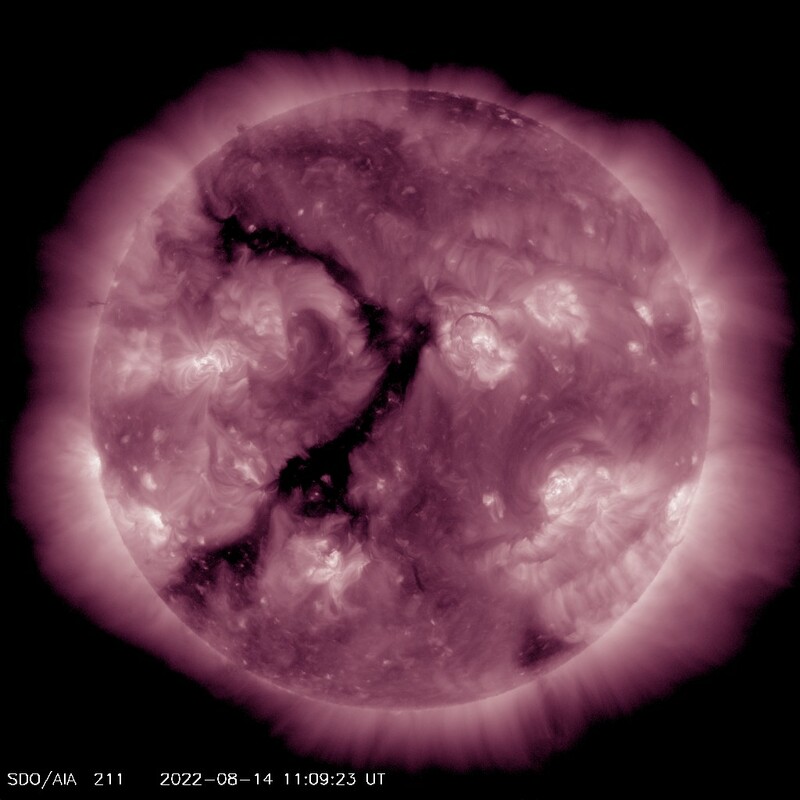 This channel (as well as AIA 1700) often shows a web-like pattern of bright areas that highlight places where bundles of magnetic fields lines are concentrated. 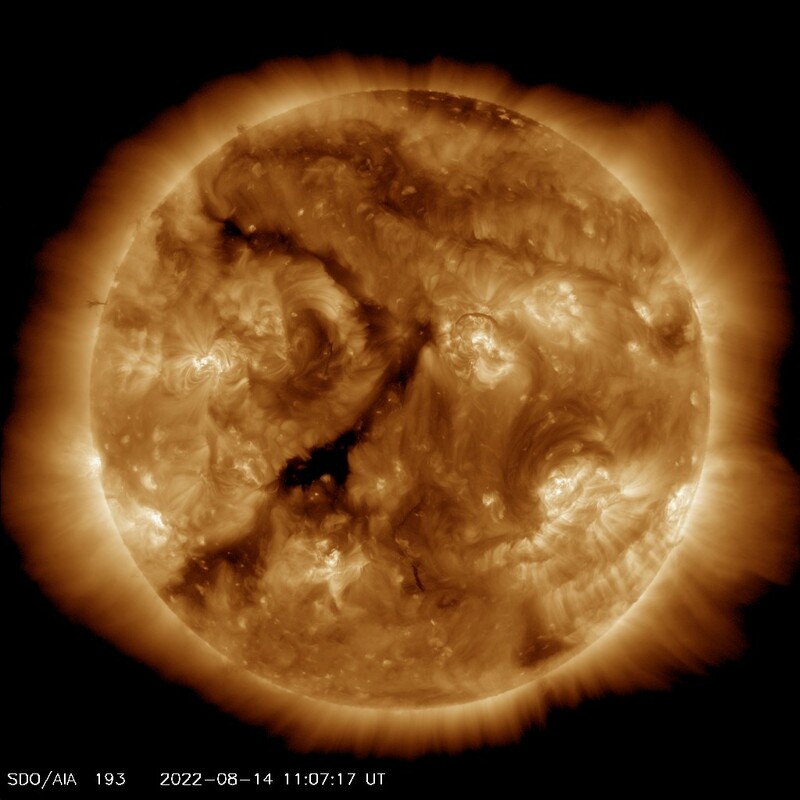 However, small areas with a lot of field lines will appear black, usually near sunspots and active regions. This channel (as well as AIA 1600) often shows a web-like pattern of bright areas that highlight places where bundles of magnetic fields lines are concentrated. 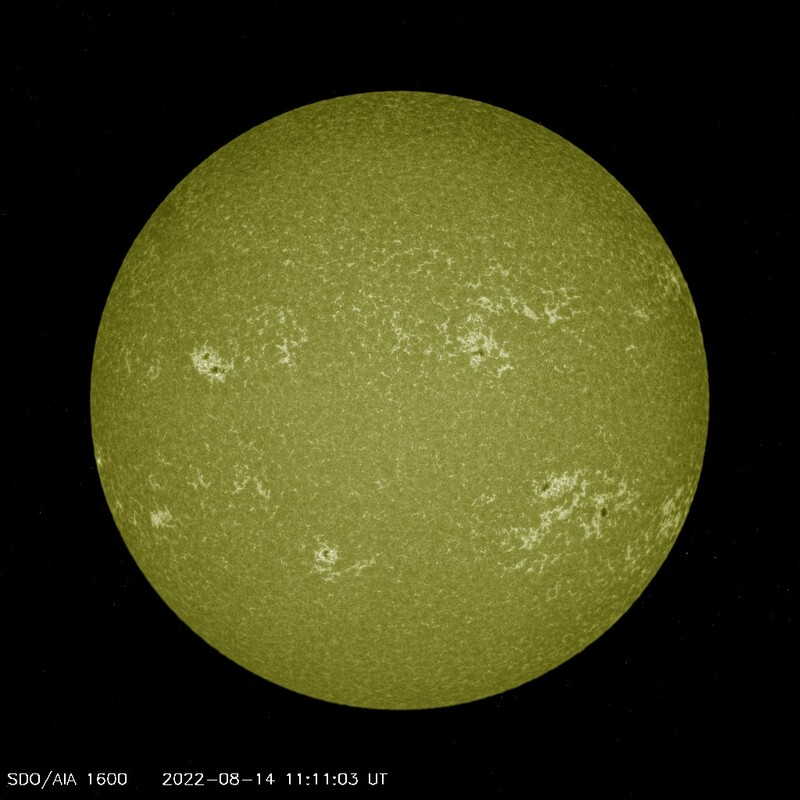 However, small areas with a lot of field lines will appear black, usually near sunspots and active regions.